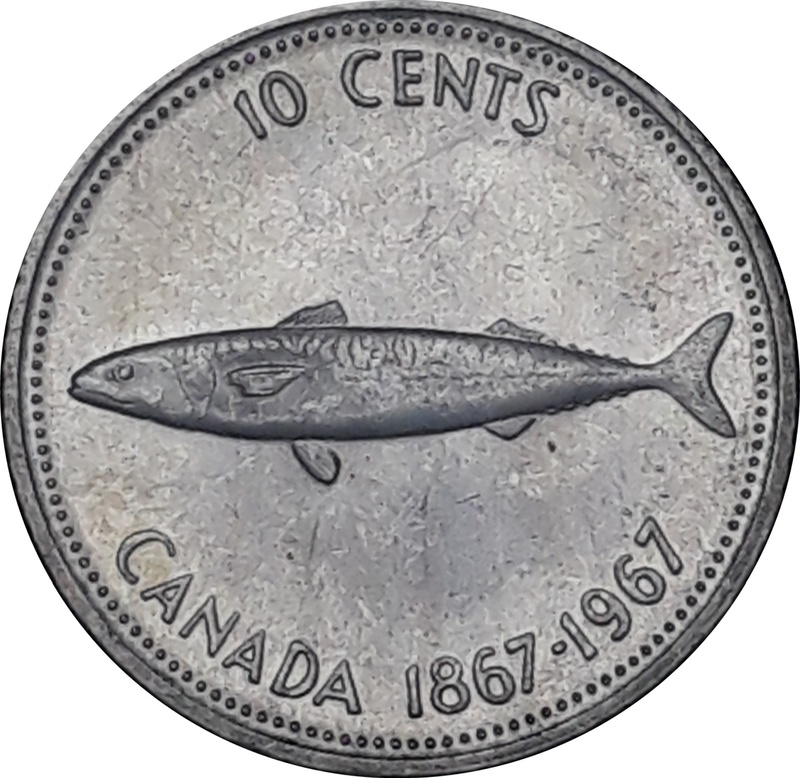 A fish (mackerel) surrounded with the facial value and the inscription "CANADA 1867-1967"
David Alexander Colville (24 August 1920 Toronto – 16 July 2013, Wolfville) was a Canadian painter. 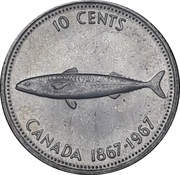 In 1965, Colville was commissioned to design the images on the Canadian 1867-1967 centennial commemorative coin set. 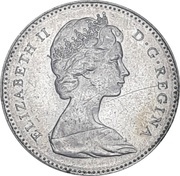 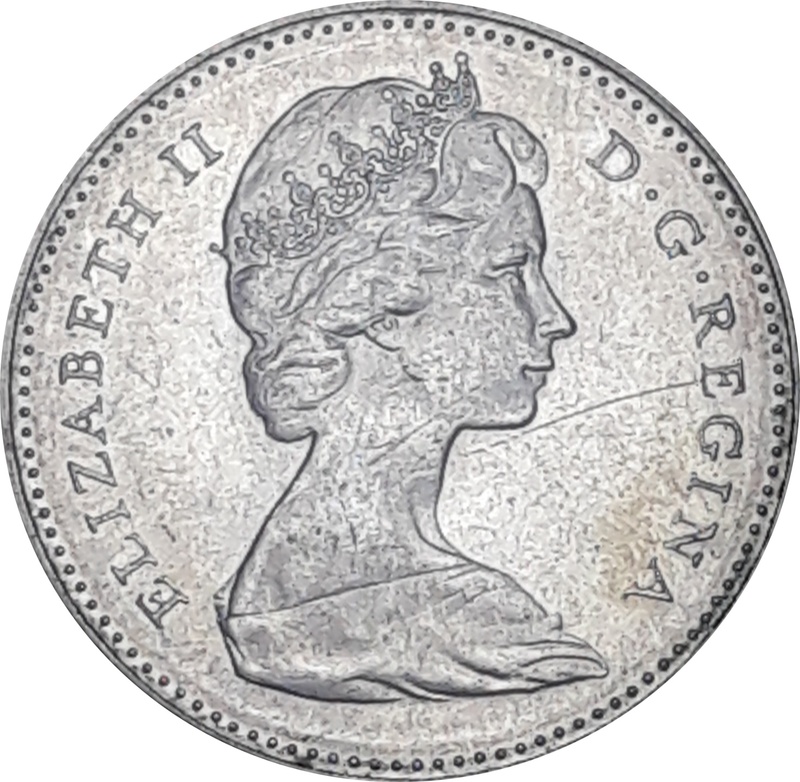 The 50% weighs 2.18 Grams and has a mintage of 30,689,080.